This timeless fairy tale has been reworked to respond to specific gender preoccupations of the day. Disney's Beauty and the Beast addresses the contest between two types of masculinity, aggressive and gentle, targeting young boys to socialize into the new sensitive male of the 90s. The representation of femininity plays a minor part in the story. 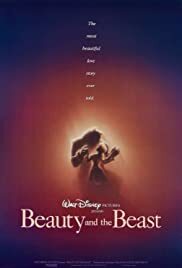 Because Disney films are targeted to a younger audience, the sexual implication of the `Beast' is replaced with a coarse, boorish and unrefined type of masculinity. This film is about the socialization of young boys, and the audience learns through textual analysis what behavior the film deems appropriate. The Beast is 11 when he is put under the spell and 21 by the time it is broken, which covers the formative years of the transition from boyhood to manhood. The most obvious lesson he has to learn is to love, and to be good enough to have that love returned. Heterosexual love sets everything right and is the definition of the manhood he has to attain. The rest of the film reads as a transcript of proper behavior, and Lumiere, the dating etiquette expert, is his teacher. The Beast is expected to find more suitable accommodations than the dungeon, walk Belle to her door, say something to fill the awkward space on the trip to her room, and invite her to dinner. As a man, he is expected to control his temper, eat in a civilized manner, and learn gentleness with the birds. In the scene depicting his table manners, Belle switches from the role of date to that of nurturing, instructive mother. Belle recognizes his effort with the spoon and compromises with him by sipping her broth from the bowl. All of the characters have a part in his instruction. Especially informative is the scene when Belle sings about how he was course and unrefined, and now he is dear to her because he is unsure. It is the self consciousness and insecurity, in eating and getting dressed in bows, that sets the Beast apart from Gaston and makes him the ideal 90s (less masculine) man. In fact he has physical prowess but he represses it, and appeals instead to Belle's mind with the library. The film reassures boys that one can be both gentle and manly. The key to winning the girl lays in his evolution; he overcomes his selfishness. The Disney film leaves no room for competing versions of masculinity. 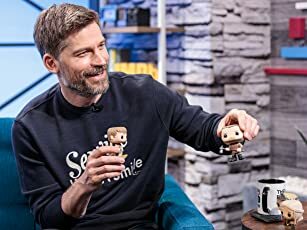 Only one would survive; the bad guy dies. Gaston and the Beast are quite similar rivals, analogous in their social worlds. Either the entire town or all of the appliances cheer their respective protagonist. Gaston is beastly as shown by his shadows, bestial shape, and pride that every last inch of him is `covered in hair.' Their fight in the tower marks the emotional high point of the film and is essentially a rivalry between two types of masculinity. The sensitive male that the audience has witnessed evolving, or the 100% pure testosterone laden Gaston who is aggressive, has a thick neck, eats to excess, is not an intellectual (he knocks over a chess table) and is a model to which all those in the village aspire to. Belle drops out of the equation entirely, as the major lesson of the film is the contest between two versions of manhood, with the sensitive male of the 90s the victor. To a lesser degree, the film is also about the new woman of the 90s. Belle is the new heroine that Disney produced, though she is just as skinny and wide eyed as the heroines before her. She does read books, but they are fairy tales and her idea of `something more than this provincial life' is prince charming. She is really not all that intellectual. She does have two physical saving scenes, when the Beast is attacked by wolves, and before he falls off the tower and she catches him. However, overshadowing Disney's attempt to create a modern, liberated woman, Belle ends up faced with a choice that is really no choice at all. She has to get married in the end whether it is to one man or another. Belle simply settles for the best type of masculinity, what she a `new woman' is looking for in a `new man.' She has little choice, since she doesn't like Gaston and she does want to get married. The lesson is that one type of masculinity not only triumphs and survives, but it also gets the girl. It is surprising that a more recent film, after the women's movement, and one self-consciously trying to create a new heroine, actually takes more power out of the female's hands then older versions of the tale. 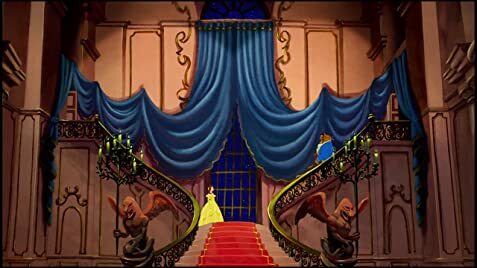 Animations oftentimes reinforces stereotypes, and the `happily ever after' genre conflicts with any real independence Belle could have shown, resulting in no choice other than marriage.